Sure, PlayStation Plus subscribers are used to getting "free" games every month, but they haven't had any say about what the gratis titles would be. Until now. With Vote to Play, you'll have a chance to make your voice heard. PlayStation VP of platforms marketing John Koller writes on the PlayStation Blog that the game with the most votes will automatically be added to the upcoming month's offerings, and that in the first round of voting the runner-up will be available at a discount. Pretty cool, huh? Exactly how the voting process will work (if there will be videos or whatnot to help make informed choices) isn't clear just yet, but Koller writes that more info is coming soon enough. The real question though is if you would've voted for Rocket League, from last month's promo that's absolutely dominating the gaming conversation right now. Sony is actually doing all right despite a lot of turmoil, and it's got thePlayStation 4 to thank. This quarter, the company moved 3 million PS4s, bringing total sales of the console to 25.3 million units. Peripheral and software shipments also went up, boosting gaming revenue by 12.1 percent over last year. Despite lower PS3 sales, the division still hit 288.6 billion yen ($2.3 billion) and made around $160 million. Sony recently said that the PS4 is outselling the Xbox One in most of Europe by nearly double, and has outsold its rival considerably overall. It originally expected to sell 16 million PS4s in 2015, but has now bumped that forecast to 16.5 million. PlayStation 4 has been the best-selling games console every month of the year to-date, Sony has told MCV. The company was speaking about the success in June of its limited edition console bundle, which features Warner Bros’ chart-topping title Batman Arkham Knight. Arkham Knight is the fastest-selling game of 2015 so far, surpassing the previous sales record held by The Witcher 3. 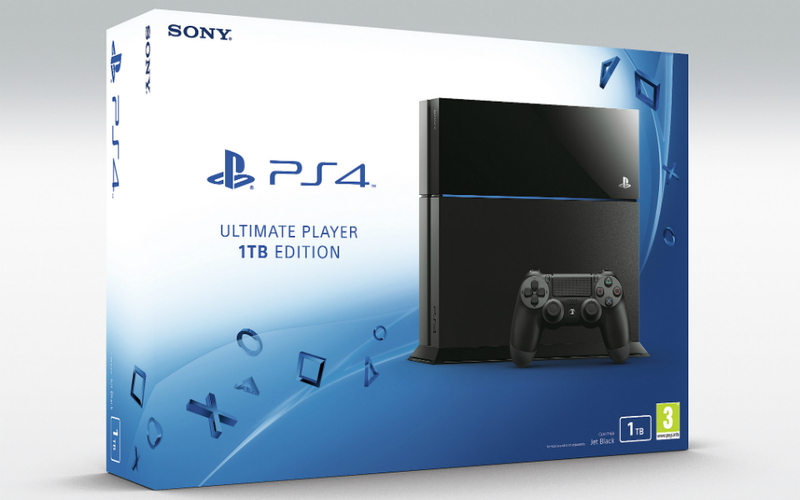 The pack, which includes a grey PS4 emblazoned with the Dark Knight’s silhouette, was available alongside a separate SKU comprising of a standard PS4 and a copy of the title. “We are delighted with the success of both Batman Arkham Knight, with its exclusive PlayStation 4 content, and the limited edition Batman PS4 bundle,” a PlayStation spokesperson told MCV. If you've ever been disappointed with the selection of "free" PS Plus games, listen up: Sony is giving you the chance to have a say over which titles make the next cut. 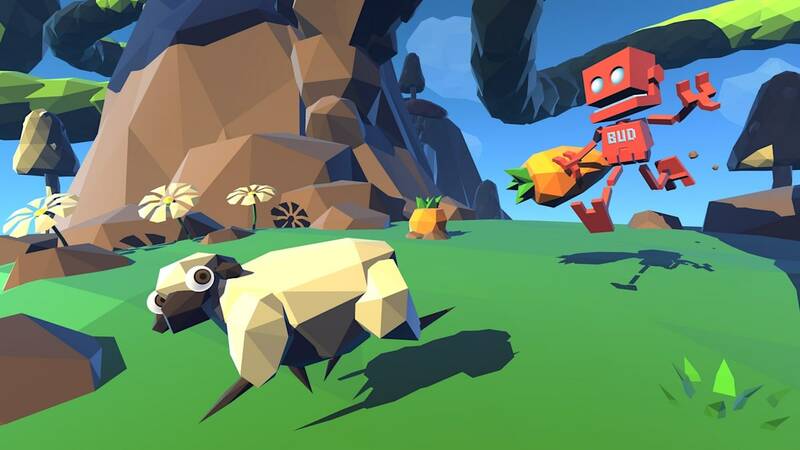 Starting tomorrow, you'll be able to vote on three games via your PS4 -- action platformer Grow Home, the board game-inspired Armello and four-player brawler Zombie Vikings. The one with the most votes on August 24th will be crowned the victor and added to the September lineup. The other two will be discounted in the PlayStation Store, so you should still get a good deal regardless of how your preferred game fares. It's not the same as being able to freely pick a title, but it's certainly more choice than PlayStation fans have been offered in the past. Sony says this new "Vote to Play" initiative won't be occurring every month, however, so there's an extra incentive to use your influence this time around. If enough people participate, maybe the company will consider making it a standard perk. Some PlayStation Plus subscriptions are getting a little more expensive in the UK. From September 1st, Sony's 30-day option will cost £5.99 instead of £5.49, and the 12 week plan is rising to £14.99, up from £11.99. The annual subscription is staying locked at £39.99, however, so if you haven't taken the plunge just yet -- now might be a good time to reconsider. Sony says the changes are "in line with market conditions" and all part of its push to deliver "an unparalleled experience, featuring the best quality games and features." If you need a reminder, PS Plus nets you some "free" games on PS4, PS3 and PS Vita every month, and is also required to play PS4 games online. Maybe, just maybe this extra cash can be used to stop PSN from going down so often too? We're crossing our fingers. Between The Force Awakens, Battlefront and Disney Infinity, you're about to get your fill of Star Wars -- and Sony is determined to capitalize on that sci-fi feast with some special PlayStation systems. It's releasing two limited edition Darth Vader PS4 bundles that each include a distinctive 500GB console (emblazoned with the Sith Lord's face, naturally) and a controller whose red and white accents mimic Vader's chest panel. The core Battlefront Vader bundle includes both a Deluxe edition of its namesake shooter as well as a voucher for four vintage Star Wars games (Super Star Wars, Bounty Hunter, Jedi Starfighter andRacer Revenge). Head to Walmart, meanwhile, and you can spring for a Disney Infinity 3.0 Vader bundle that replaces Battlefront with Infinity and a matching figurine kit. And if you're just interested in software, there will be a plain PS4 bundle that includes Battlefront and the classic games. Sony’s support of the PlayStation Vita continues with news of two new Mega Pack bundles. The PS Vita Hits Mega Pack includes four system exclusives – Uncharted: Golden Abyss, Tearaway, LittleBigPlanet and When Viking Attack. There’s also a PS Vita LEGO Action Heroes Mega Pack that includes LEGO Batman 3: Beyond Gotham, The LEGO Movie Videogame and LEGO The Hobbit. As with previous Mega Packs, they will be released in both a hardware bundle for €199.99 including a memory card and download codes or instead in an 8GB memory card bundle, again with download codes. The PS Vita Hits Mega Pack will be released in September and the LEGO bundle in October. 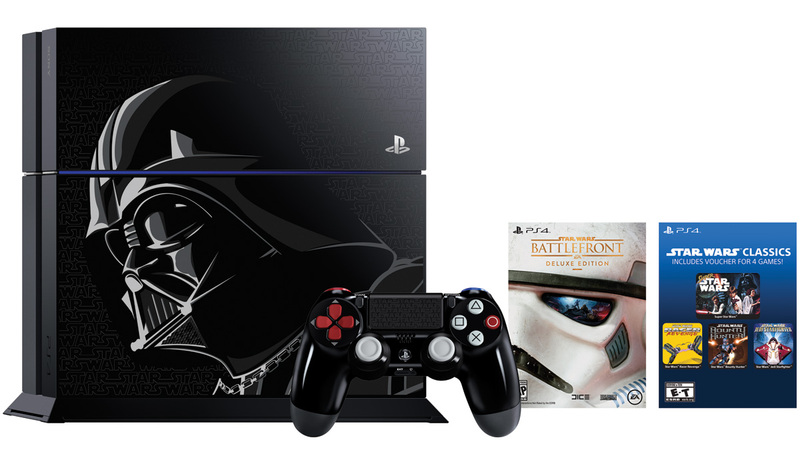 The increasing swell of Star Wars hype has hit camp PlayStation with the reveal of a branded PS4 console. The 1TB machine has Sith lord Darth Vader sprawled on its side, while the controller is designed to evoke the former Jedi’s chest control panel. Both devices also carry etched instances of the Star Wars logo. A physical copy of Star Wars Battlefront is included in the box as well as codes to download copies of Star Wars: Racer Revenge, Jedi Starfighter, Star Wars Bounty Hunter and, surprisingly, a port of fan-favourite SNES classic Super Star Wars. The console will also be included in a Disney Infinity 3.0 bundle that includes the game, the Disney Infintiy Base, the Rise Against the Empire Playset and a PlayStation exclusive Boba Fett figure. Download codes for the four classic titles will also be included. Also on the way is a standard edition Star Wars Battlefront bundle with a vanilla black PS4 and controller. Both systems will be released on November 17th. Of note: beta testers can roll back to the previous PS4 system software update (v2.57) at any time. The beta program begins on 2nd September. 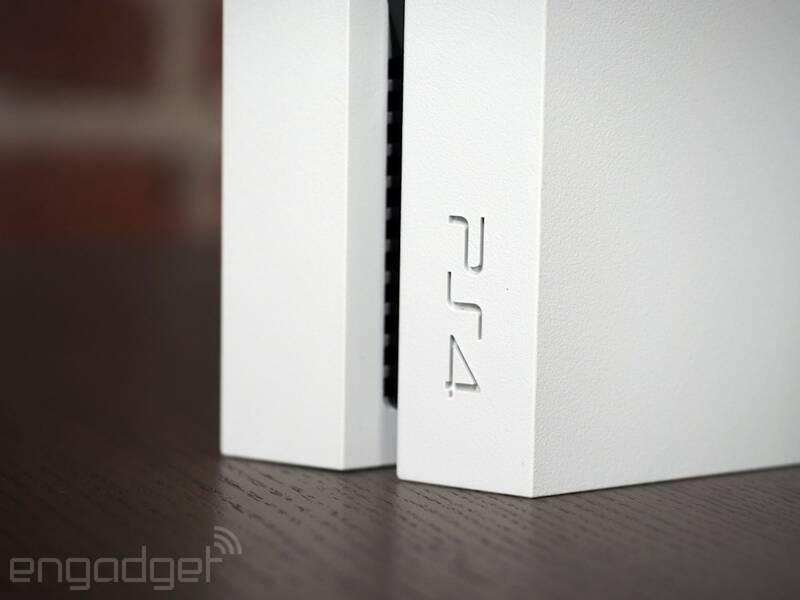 Sony has yet to announce which features are planned for the update, but they've already leaked. Headline additions are Events, Communities and a new layout for the message screen. Elsewhere, you can broadcast your gameplay on YouTube, and upload video clips to Twitter, with a 10-second limit. As always, you can find downloads to the latest version here as well as the source for VitaDefiler and UVLoader on GitHub. Just like before, run SETUP.bat and follow the directions. If you are using PSM+, be sure to follow the directions where you get PSM+. To use on VitaTV, install the client on your Vita and then move the memory card to the VitaTV. I hear that mr.gas will release a method for client installation that does not require a Vita to install. Follow him on Twitter for details on that when the time comes. Support will be provided in #vitadev on EFNet IRC. Netrix, who is responsible for the Unity port will be on there. PS Vita: Upcoming Exploit Games for the Firmware 3.52! A japanese exploit game will be announced as well, at a later date, though. The coder Zenyth Applelo Team presents a new application developed to interpret ONElua call Iconaute , with which we can customize the Memory Stick icon that appears when we connect our PSP to the computer . Emulator Comodore64 another of those fantastic personal computers 8 Bits that were all the rage in the 80 A great choice all this generation of emulators for users with MS 32 Mb . Because of the small size of their roms. Space Ball is the first homebrew created with the interpreter ONElua that uses the 3D module . The game was made ​​by the coder Mills , it features excellent graphics, good music and good design . Space Ball ingenuity really unlocks using 3D and undoubtedly many fascinate them. Rockbot game is a 2D platform game based on the Megaman , like Megaman at each level must defeat a boss and thus get the weapon or ability of the boss. The game is very well developed, it has 8-bit graphics and sounds according acclimated to the game. Emulator Sega Master System and Game Gear for PSP, it really is a port SMS Plus itself. roms run perfectly and GUI available is very intuitive and has many interesting options. Including capturing images of our roms, supports compressed zipped roms and we can save our games without much complication. The update has been announced for some weeks now, and many compatible devices have received their updates, but the PSP version has yet to be released. The update has many new cool features, and extras. The display looks amazing, and it is something to look forward to, as a PSP Homebrew fan. When this version releases, you'll be the first one to know it, here on Dashhacks. So, there's a brand new main menu, similar to the XMB (xrossmediabar) menu, used for the main menu on the PSP and PS3, and many Sony devices. If this menu doesn't get you excited, don't worry, you can still choose from the original main menus! Libretro is working hard to make the emulator as amazing as it is. Who has not ever wanted to feel like developer of your own PS3, because the time has come with the recent publication of CCAPI Control Console for DEX systems and now ported also to CEX system, which offers endless possibilities and aspects we can modify in real time the PS3 system and execute tools / tooll's game time (RTM) from the PC. A new developer joins the crew creating their own custom firmware . While we have seen many users with little knowledge they have created their own custom firmware, this is not the case with Habib , which incorporates very choices interesting to their firmware, and the possibility of installing PSP games remastered , or functionality OtherOS , Sony took us in firmware 3.21. We all know the famous backup loader of Hermes , but just like that, we all know that Hermes has abandoned this project and we have all this wonderful manager we have been " annoyed "to not receive new updates from him. Luckily a user of ElOtroLado.Net has decided to continue with the project on behalf of Iris Manager . modrobert writes: "CTurt has updated a collection of PS4 tools and experiments using the WebKit exploit over at github.com. This is for firmware 1.76 only at the moment." JaiCraB has posted info about two UART ports he found on the PS4 motherboard; UART0 and Mediacon (CXD90025G). These are standard 3.3V serial ports with RX, TX, GND wires and baud rate set at 115200 bps (8,N,1). The Mediacon accepts commands and hashes similar to the Syscon on PS3. In order to map out the valid commands JaiCraB coded software to brute force the port which verifies result responses. You can read the whole post here (Google translated from Spanish). Pretty daring approach considering we don't know what any randomly found commands actually do, I suggest having some flash backup before trying this if you care about the target PS4. It Might be NES (imbNES) is a Nintendo Entertainment System (NES) emulator for the Sony PlayStation. It allows NES games to be played on a Sony PlayStation console. It Might be NES was originally written by Allan Blomquist sometime around 2000, and updated for several years thereafter. The last version released by Blomquist was 1.3.3-WIP1. Due to a series of circumstances, the project was discontinued. It was, at that point, a dead-end, since the source code for the project was not public. In 2008, the original author released source code for version 1.3.2, under the GPL license on his website, as he was no longer planning to work on it due to having moved on, so that an interested person could start to make improvements to the emulator. Unfortunately nobody started to work again on the emulator and the emulator sat unmaintained until 2015, until being picked up again. A note: source code for 1.3.3-WIP1 was never released, as it was probably lost. The emulator supports mappers 0, 1, 2, 3, 4, 7, 9, 10, 11, 33, 34, 38, 66, 70, 71, 79, 87, 140, 180 and 185. Not all games are guaranteed to work correctly, and some games may have graphical glitches. You need to have PSXSDK installed in order to compile the emulator and create an ISO image with the games. Instructions are provided inside the archive. Deadly Premonition might not be a "good" game, technically speaking, but it's wormed its way into the hearts of a very passionate cult following. With that in mind, this seemingly years-late collector's edition of eccentric Japanese developer Hidetaka "Swery" Suehiro for the PlayStation 3 (fits with the game's weirdness, right?) is packed to the gills with goodies for the fans. Custom deck of playing cards? Check. A 30-page hardcover art book? Present and accounted for. There's a soundtrack packed into the pretty swanky collector's box, the game's director's cut and a download code for additional content so you can while away a few more hours with special agent York in this very Twin PeaksPacific Northwest, too. Perhaps best of all? The Deadly Premonition: The Director's Cut - Classified Edition will only run you $50 and it releases November 24th.